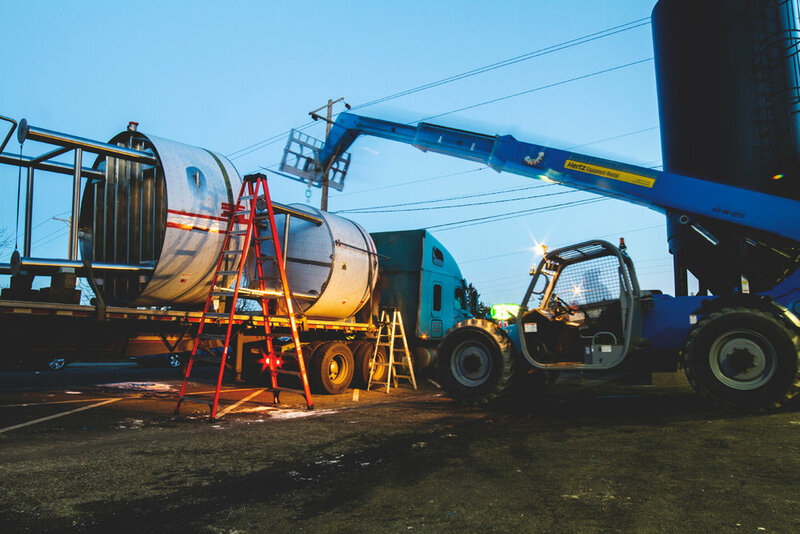 What It Looks Like to Expand a Brewhouse — Aslan Brewing Co. They're finally here! 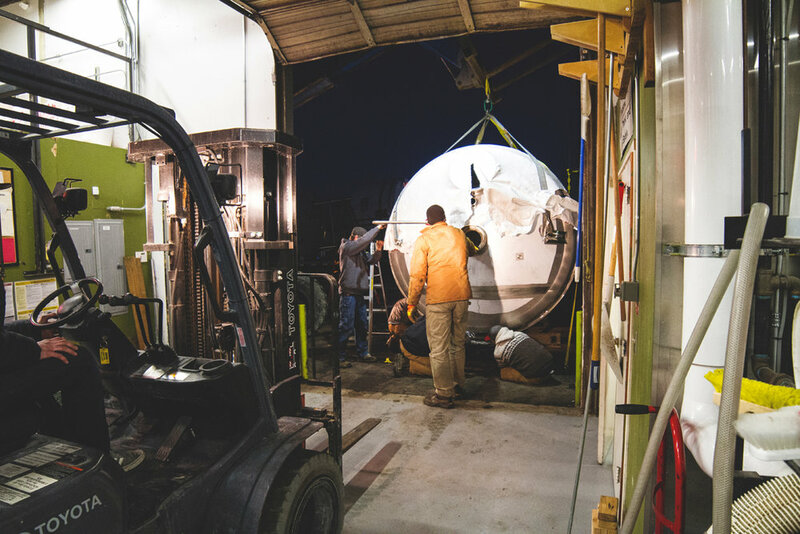 We just received several beautiful new tanks: three 60 bbl fermenters and a 30 bbl brewhouse (mash tun, lauter tun, boil kettle, whirlpool). 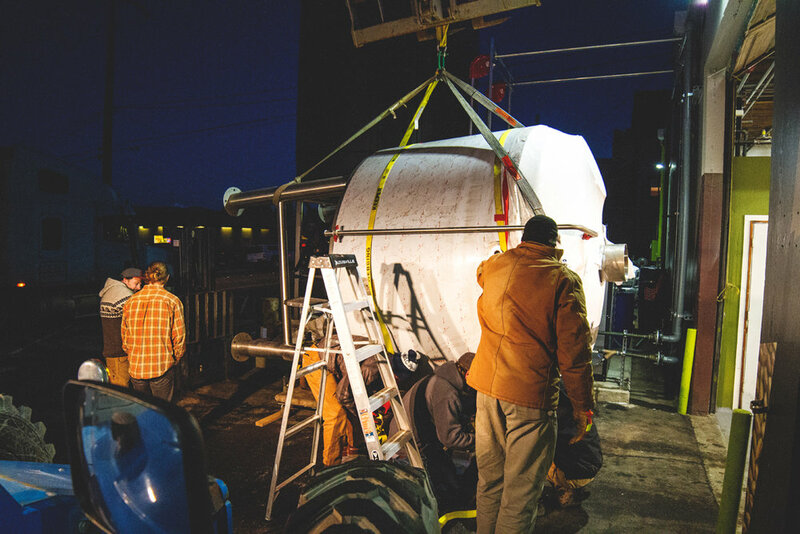 This new system will double our capacity and make it possible for us to brew more beer more efficiently. 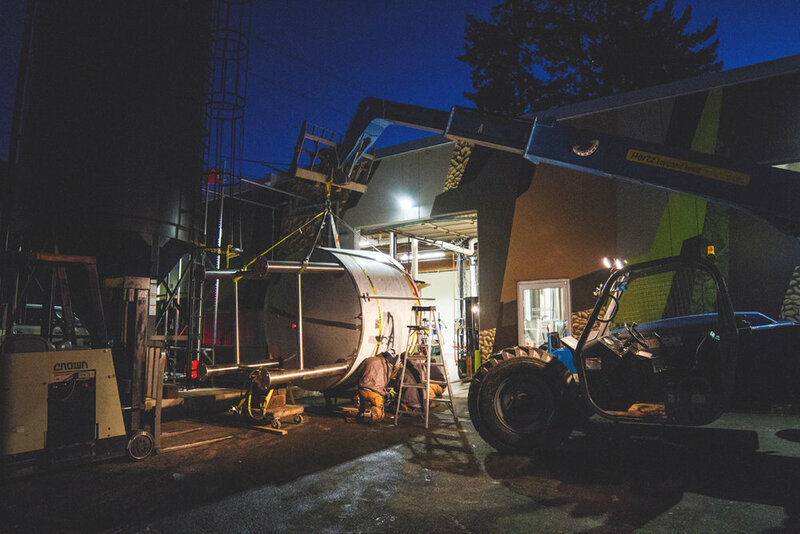 Our trusty 15 bbl system, which we've been using since we opened our brewpub doors, has found its new home at Paradise Creek Brewery in Pullman. We're glad it's in good hands. The expansion isn't over yet — we've got more coming. Stay tuned!